The 9608G IP Deskphone is an 8-line telephone ideally suited for everyday users who consider the phone to be one of many useful communication tools and who rely on common functions like directory and speed dial to enhance productivity and communications. 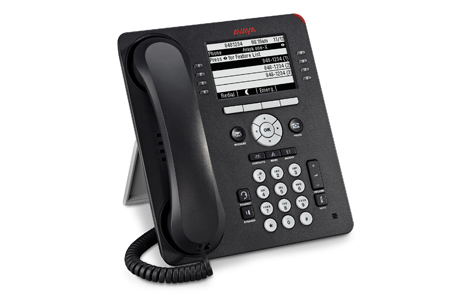 The competitively priced, high-performing 9608G features a monochrome display, 4 softkeys, common user interface with Avaya one-X solutions, high definition audio quality, integrated Ethernet interface. Part of the 9600 series IP Deskphones, the 9608G leverages your enterprise IP network to deliver sophisticated voice communications from headquarters, remote locations or home offices. Integrated with Avaya Aura, the 9608's evolutionary approach optimizes communications through a flexible architecture that leverages existing investments and accommodates changing business needs.